Canadian artist Gary Taxali introduces his first limited edition Artist Series skateboard set which is currently available for purchase. 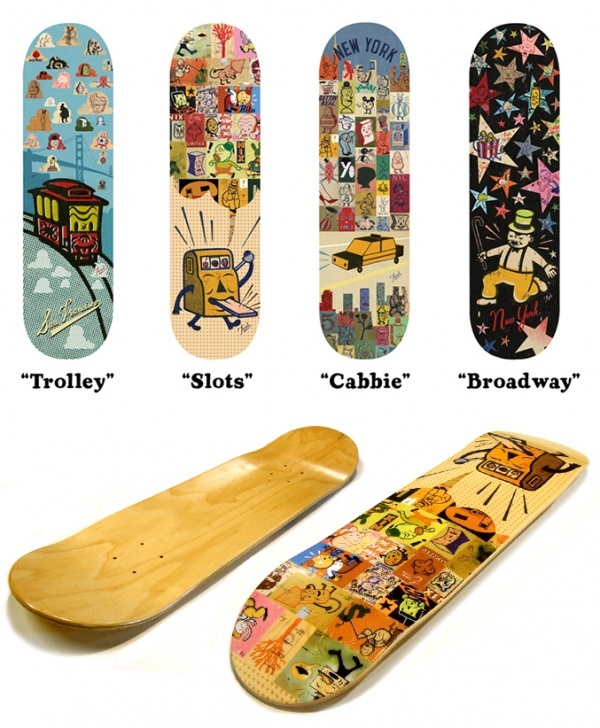 Each of the city inspired designs is heat-laminated onto the board, then hand-signed and numbered in an edition of 15 per piece. Buy one or buy ‘em all.